India Yamaha Motor has launched the 2019 MT-09 in the country at an ex-showroom (Delhi) price tag of INR 10,55,354, making it approximately INR 16,000 more expensive than its predecessor. Bookings for the 2019 model have begun at Yamaha Super Bike dealerships. For 2019, the Yamaha MT-09 comes in Night Fluo (pictured) colour option that joins the Yamaha Blu and Tech Black paint schemes on the motorcycle. The only change in the 2019 model is the addition of a colour option. Apart from the Yamaha Blu and Tech Black, the MT-09 can be purchased in Night Fluo. The colour is the combination of white base paint with black headlight surrounds, tank shrouds and red rims. The MT-09 logo on the tank shroud gets a red finish. The hardware specifications is unchanged. The aggressively styled fascia features a twin-pod LED headlight. Being a naked roadster, there is no wind deflector to provide solace against windblasts. Steering duties are performed by single-piece flat handlebar that gives relatively upright ergonomics while keeping the riding position aggressive enough to deliver a sporty package. The 14-litre fuel tank gets a dual tone finish with the addition of black shrouds. The saddle is a flat, single-piece unit that is followed by LED tail light and conventional blinkers. The rear number place is installed on the tyre hugger to give the tail a compact look. The MT-09 draws power from an 847cc, inline-three, four-stroke, liquid-cooled, DOHC engine that is tuned to deliver 115 PS at 10,000 rpm and 87.5 Nm of peak torque at 8,500 revs. The motor is paired with a six-speed gearbox that features YZF-R1 type Quick Shift System (QSS) for upshifts. The motorcycle also gets assist and slipper clutch. Electronic rider aids include Traction Control System (TCS) and ABS. The kerb weight stands at 193 kg. Shock absorption tasks are performed by fully adjustable 41 mm inverted front forks. The front suspension offers adjustable compression damping in the right fork leg, and rebound damping in the left leg. At the rear is an adjustable monoshock. Stopping power comes from 298 mm dual discs at the front and 245 mm single disc at the back. 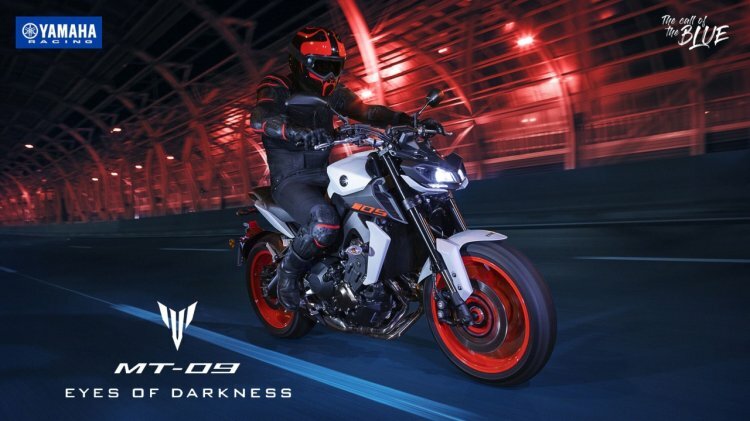 The 2019 Yamaha MT-09 has been priced at INR 10.55 lakh (ex-showroom), making it approximately INR 16,000 more expensive than before. The specifications remain unchanged. 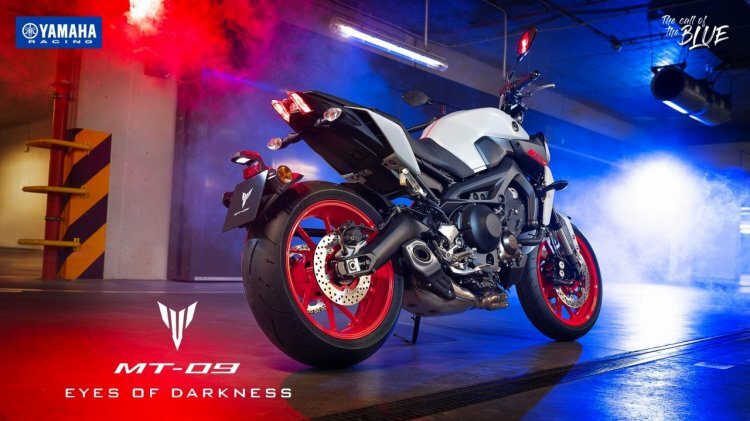 The MT-09 competes against the Triumph Street Triple series, Ducati Monster range, Suzuki GSX-S750 and the Kawasaki Z900 among others in the Indian market. The motorcycle would soon witness increased competition with the launch of the KTM 790 Duke.